A man from Isoko South area of Delta State on Sunday performed a rare feat in the annals of marriage in Nigeria. 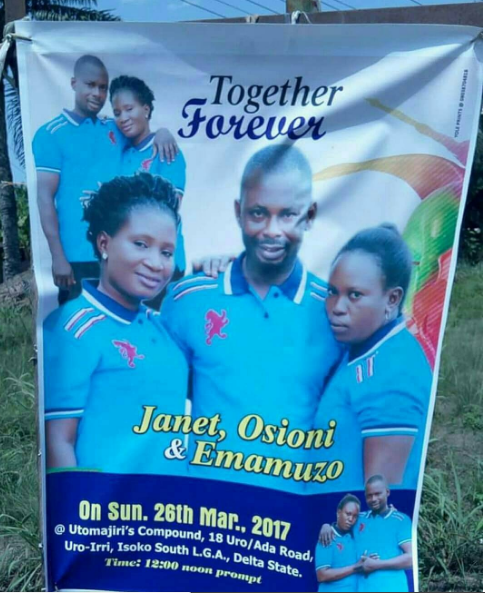 The man, simply identified as Emamuzo, married two brides, Janet and Osioni, in a ceremony that attracted a lot of eyeballs after the wedding banner went viral online. It is uncertain if the trio validated the wedding in any Nigerian marriage registry, however, there are photo evidence that there was a traditional ceremony which validated the rare union.